We are the manufacturer of color coated profile sheets. With the aid of innovative technology and experienced personnel, we are offering profile sheets. Offered products as imparted with rugged design and easy installation features have gained huge industry acceptance. On the account by using these products, our customers are ensured to have flawless experience overall. 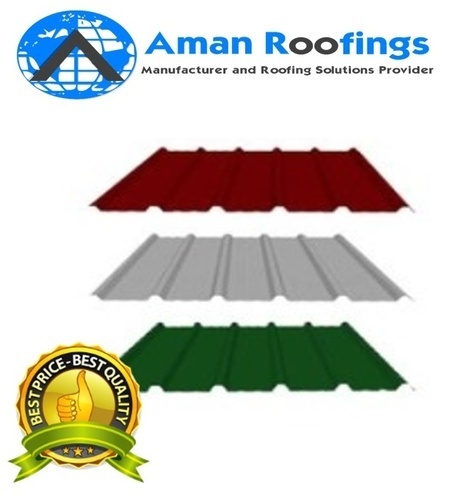 Established in the year 2008 at Nagpur, Maharashtra, we “Aman Enterprises” is a Partnership based firm, engaged as Manufacturer Roofing Screw, Flashing Corner, Roof Gutter, Roof Sheet and much more. We also render Fabrication Service, Shed Service and much more to our clients. The products which are manufactured are widely appreciated by our clients for their astonishing finish, perfect quality and cost valuable nature.